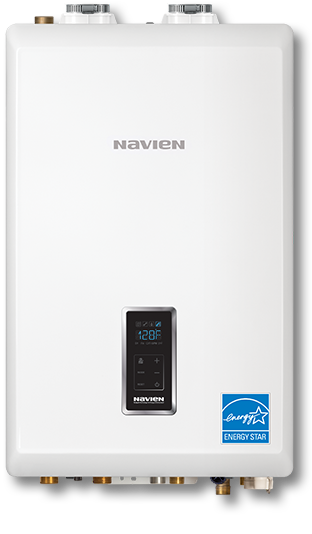 Navien NCB is the first high efficiency tankless condensing combination boiler with the capacity to supply both heat and domestic hot water for larger homes and enough hydronic for a whole house, plus hot water to run two showers and a dishwasher all at the same time. 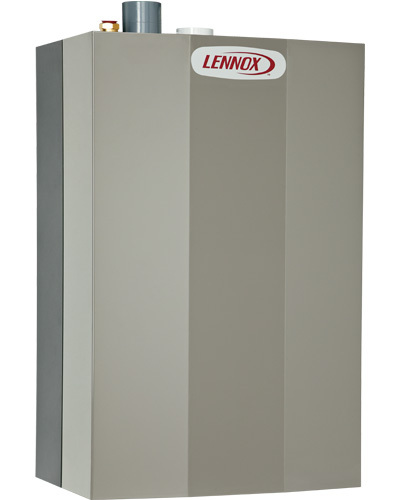 In addition, the NCB takes up to 80% less space than a traditional floor standing boiler and tank water heater. Efficiency rating of up to 95% AFUE. ENERGY STAR® certified which means it meets or exceeds U.S. federal guidelines for energy efficiency. Low gas pressure operation negative pressure gas valve ensures maximum performance all the way down to a minimum gas pressure of 3.5" W.C.
Electronic ignition control burns fuel only when necessary, reducing energy costs. Dual inputs of up to 120k BTU/h for heating and 199k BTU/h for DHW supplies all the heat and domestic hot water that most houses require.